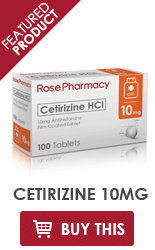 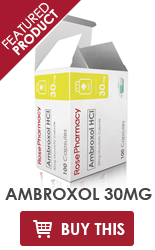 Each film-coated tablet contains 300 mg or 600 mg oxcarbazepine. 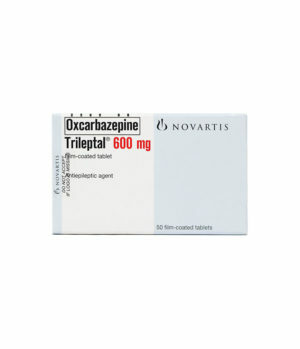 1 mL of the oral suspension contains 60 mg oxcarbazepine. 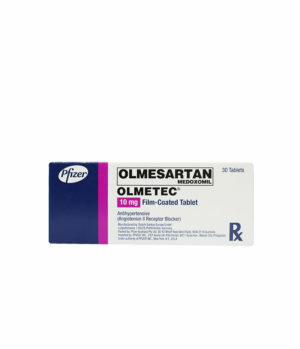 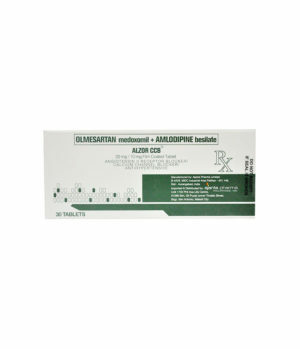 Olmetec 10 mg Tablet: Each tablet contains 10 mg of olmesartan medoxomil. 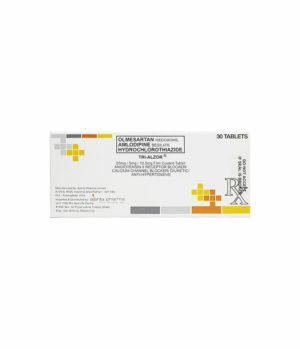 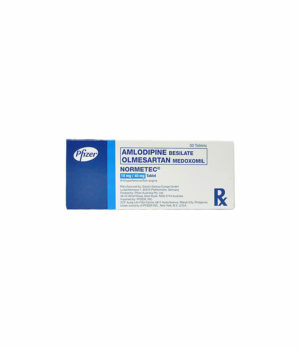 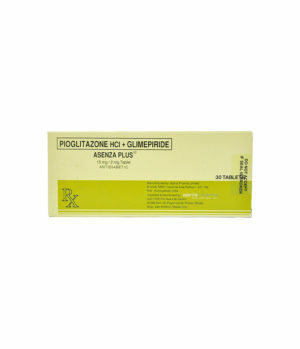 Olmetec 20 mg Tablet: Each tablet contains 20 mg of olmesartan medoxomil. 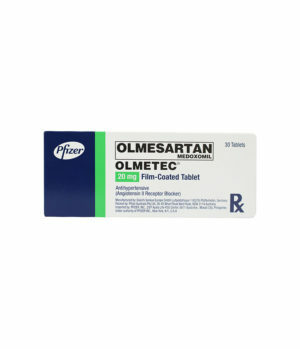 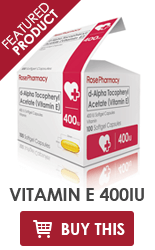 Olmetec 40 mg Tablet: Each tablet contains 40 mg of olmesartan medoxomil. 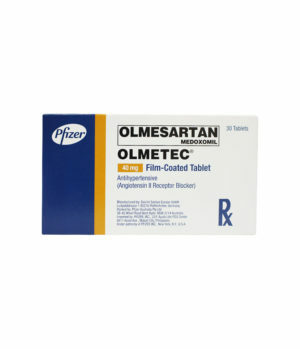 OLMETEC (olmesartan medoxomil), a prodrug, which is hydrolysed to the active metabolite olmesartan during absorption from the gastrointestinal tract. 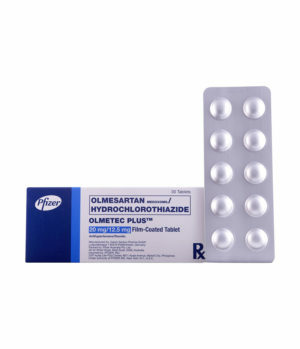 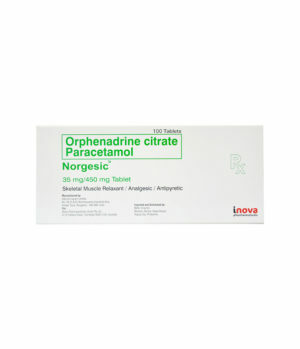 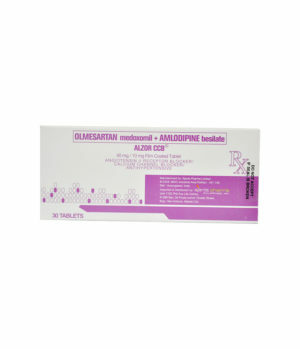 Olmesartan is a selective AT1 subtype angiotensin II receptor antagonist. 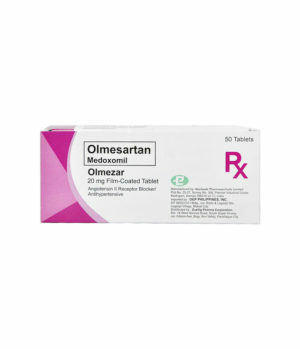 Olmesartan medoxomil is described chemically as (5-methyl-2-oxo-1,3-dioxolen-4-yl) methyl 4-(1-hydroxy-1-methylethyl)-2-propyl-1-[[2′-(1H-tetrazol-5-yl)-1,1′-biphenyl-4-yl]methyl]-1H-imidazole-5-carboxylate. 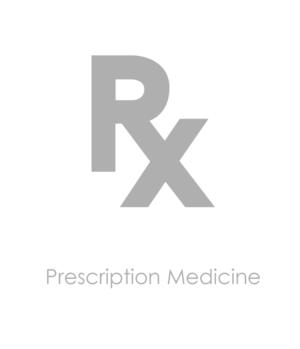 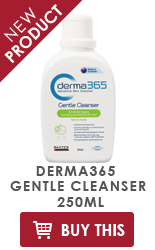 Alternatively, it can be described as 2,3-dihydroxy-2-butenyl 4-(1-hydroxy-1-methylethyl)-2-propyl-1-[p-(o-1H-tetrazol-5-ylphenyl)benzyl]imidazole-5-carboxylate, cyclic 2,3-carbonate. 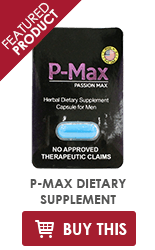 Its empirical formula is C29H30N6O6. 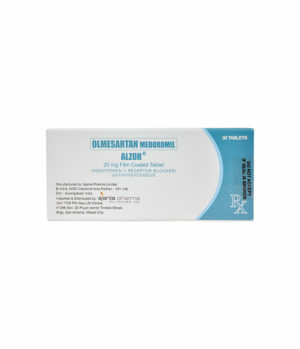 Olmesartan medoxomil is a white to light yellowish-white powder or crystalline powder with a molecular weight of 558.59. 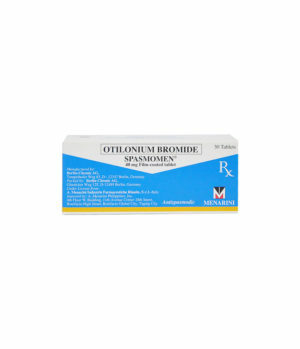 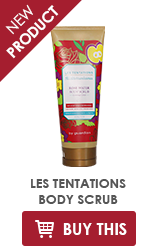 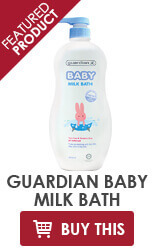 It is practically insoluble in water and sparingly soluble in methanol.